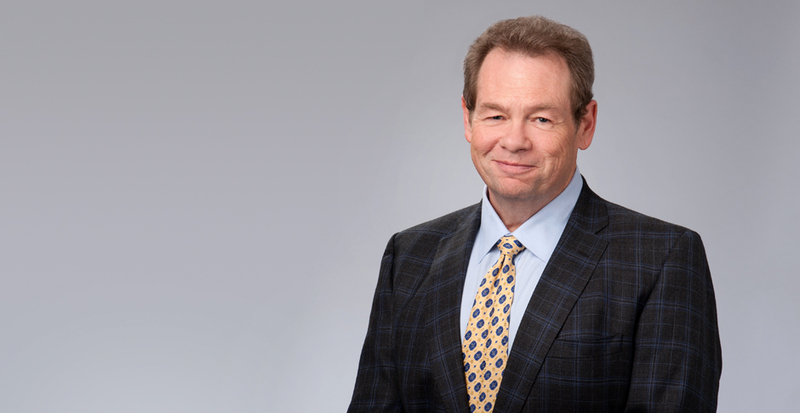 Mark Love is a Partner in Selman Breitman’s San Francisco office and is a member of the firm’s Toxic Tort/Environmental, Products Liability, and General Liability practice groups. He represents contractors, retailers, and manufacturers in toxic tort matters, including cases arising out of exposure to asbestos, silica, and Benzene. His clients include building and lumber stores, auto parts retailers, construction contractors, equipment manufacturers, and premises owners. He also has experience handling subrogation claims, and in representing entities in intellectual property disputes that involve complex trade secret, copyright, and trademark claims. With extensive experience in toxic tort/environmental litigation, Mark has a unique ability to make an early assessment on cases to determine the key issues and strategy needed to come to the best result. He works closely with claim representatives and insureds in formulating the defense approach on cases to get to the best possible outcome with efficiency. Mark is called upon by clients and industry groups to give presentations on various subject matters relating to asbestos litigation, including net verdict calculation and liability apportionment in California cases. He has also been recognized with invitation-only membership in the Litigation Counsel of America (LCA) and ranked as a Super Lawyer by Super Lawyers magazine, along with many other accolades. Mark has also published articles relating to strict liability law in California, including most recently in DRI's For the Defense, March 2014 edition. He co-authored the Toxic Tort chapter for the textbook, Legal Nurse Consulting: Principles and Practices, 4th Edition, which is scheduled for publication by Routledge (New York, NY) in 2020. Originally from Santa Clara, California, Mark presently resides in Pleasant Hill, California with his wife Tina and his Labrador Retriever, Zuzu. When not helping clients with their legal needs, he spends time bicycling, woodworking, and hiking. Negotiated outright dismissal of 73 asbestos cases against a variety of clients, including contractors, manufacturers, and retailers in a six-month period. In a significant mesothelioma case, defended an insulation contractor at trial and achieved a settlement one month into trial, with plaintiff coming well down to numbers discussed pre-trial. The case went on to a $25+ million verdict against the other two defendants. Defense of a glove manufacturer in a living mesothelioma case. Plaintiffs have made demands in the range of $400,000 to over $1 million, among the numerous defendants. Glove manufacturer client has one of the lower demands. Represented a supplier of asbestos-containing cement pipe in a case brought by a husband and wife. Plaintiffs claimed the wife was dying of the cancer called mesothelioma and that she was exposed to asbestos via the work clothes of her laborer husband. Plaintiffs dismissed the supplier after a motion for summary judgment was filed on client's behalf. The case progressed to trial against the manufacturer of the asbestos-containing cement pipe. The jury returned a verdict in excess of $200 million against the manufacturer. Successful defense of a gasket distributor in several asbestos cases in which plaintiffs have claimed illness, or death of another, as a result of an asbestos-related illness. Negotiated outright dismissal of 73 asbestos cases against a variety of clients, including contractors, manufacturers, and retailers. In a significant mesothelioma case, an insulation contractor was defended at trial. Settlement was achieved one month into trial, with plaintiff coming well down to numbers discussed pre-trial. The case went on to a $25 million verdict against the other two defendants. Summary judgment was granted in favor of a gasket manufacturer following the deposition of a co-worker, during which the co-worker identified the gasket manufacturer, but also testified that plaintiff's counsel advised him to sign an inaccurate declaration. Dismissal of a boiler manufacturer was obtained in a living mesothelioma case in which plaintiff had positively identified client's boiler from a magazine advertisement. Summary judgment motion forced plaintiff to dismiss. Dismissal of a heavily-identified steam cleaner manufacturer was obtained in a wrongful death mesothelioma case. In a Proposition 65 claim brought by a school district, settlement was achieved below the actual replacement cost on behalf of client, an artificial turf manufacturer. Determined strategy for novel motion to dismiss based on applying filing date of plaintiff's first action to plaintiff's second case filed several years later, effectively extricating our plumbing contractor client, and all joining defendants, from the case. A dismissal was obtained of a mechanical contractor, after researching and producing credible evidence that plaintiff had mis-identified our client, and that there was another similarly-named mechanical contractor that was more likely to have been at plaintiff's work site. Mark has given numerous seminars to insurance and legal organizations, and was the keynote speaker at the 1999 Northern California Claims Conference. He has also written various articles, including "Premises Liability Since Toland: Have Plaintiff Attorneys Found the Answer?" Claimspeople Vol. 10, No. 4; "Mixed-dust Claims Could Be The Next Wave" in The National Law Journal September 8, 2003, and within DRI's For the Defense in March 2014.